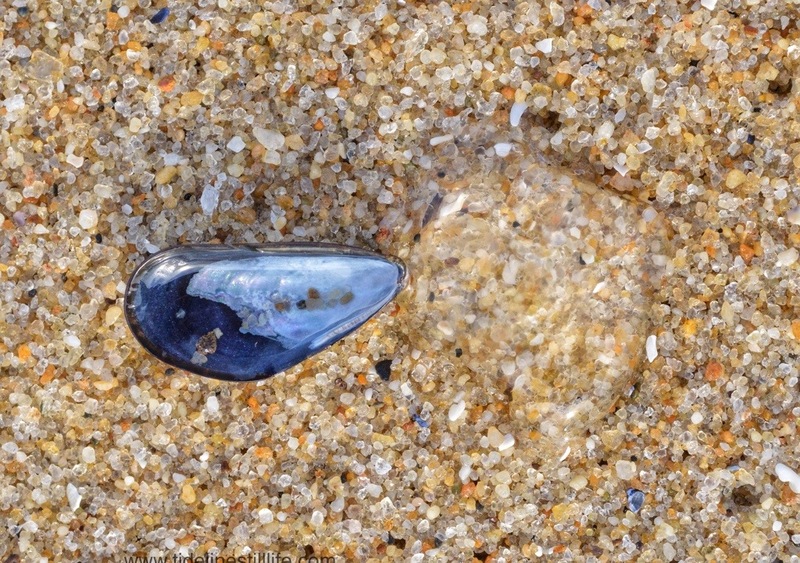 Coquina, mussels, bubbles … oh, and a lovely jellyfish. 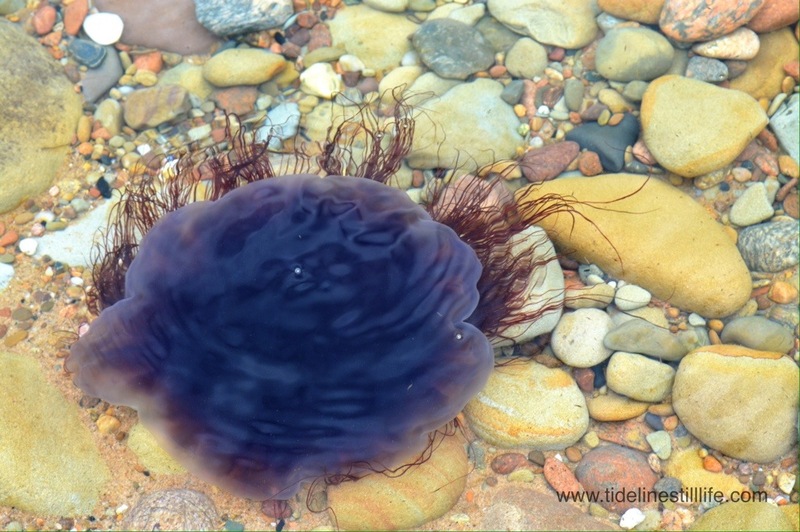 It’s not a still life that I would have chosen to photograph, but the collection of sand, pebbles, and seaweed within the upper side of this jellyfish was not totally unremarkable. 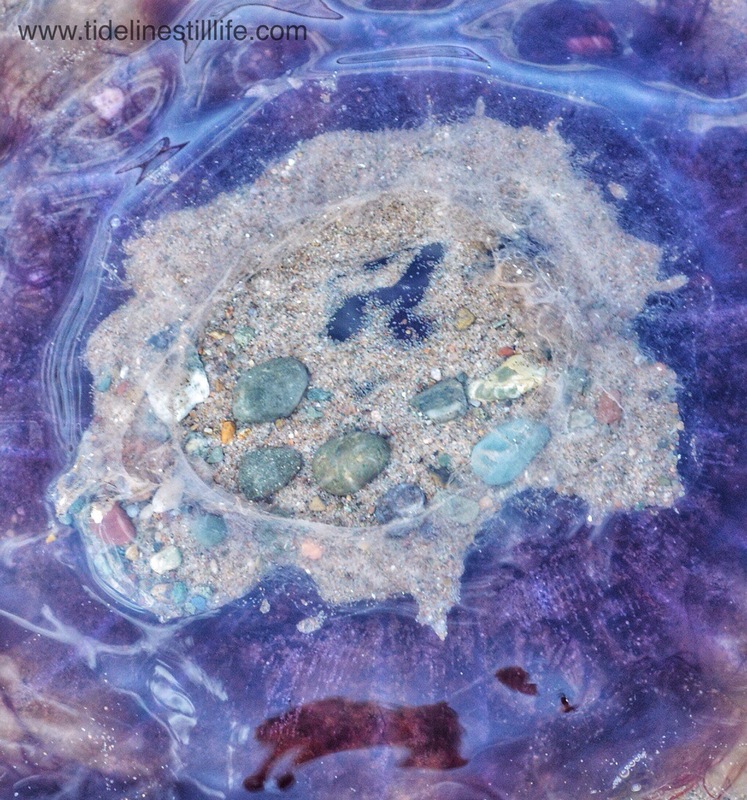 Bright sky, crystalline water, reddish sand, rainbow pebbles, and the most elegant and extravagant purple jellyfish I have ever seen. So much color on this small, isolated, and nearly empty cove. It was a spur of the moment, “Quick! 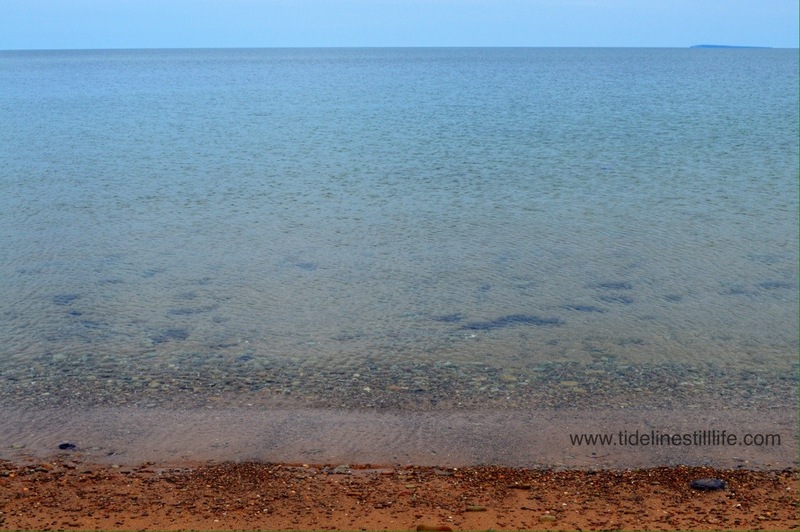 Pull over there!” stop on our drive north on the west coast of Cape Breton from the Bay of Fundy area. So glad we did! 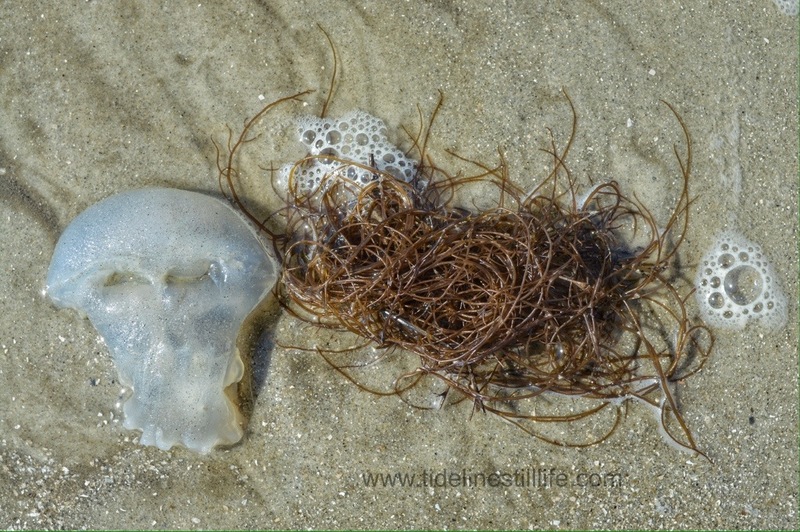 A long-dead jellyfish disturbingly takes on the appearance of a skull. 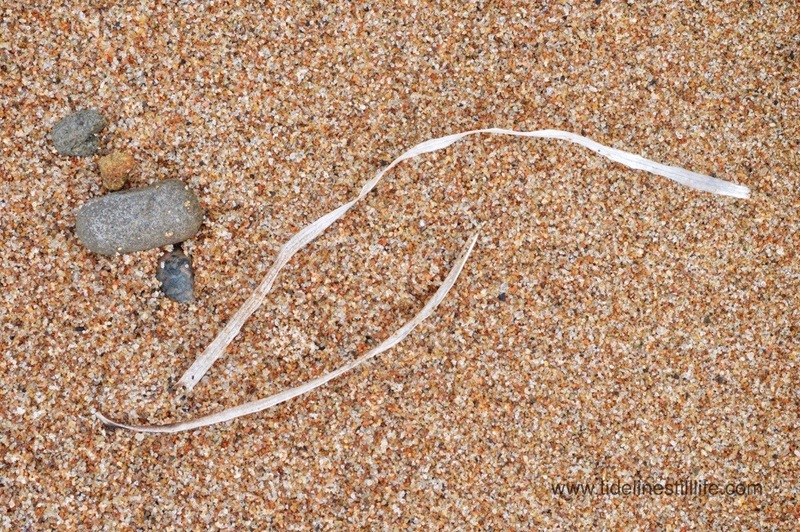 The seaweed? Well, decide for yourself. I toyed with saving this photograph until Halloween, but decided it is too much fun to wait that long. I Never Knew They Can Dance! So off we went, with hotel and airfare points making it simple. 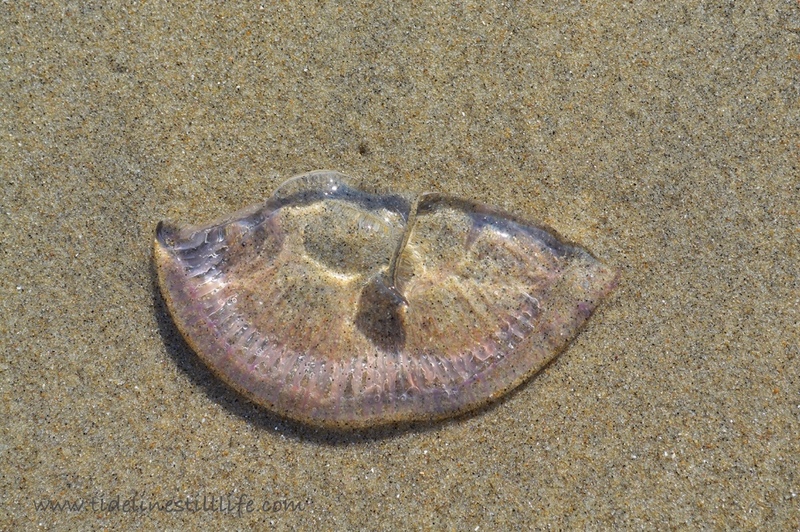 The weather allowed only one day of photography, but we hit multiple beaches on Hilton Head, South Carolina, and I managed to find some lovely still lifes to photograph despite there being very few shells, etc, on these beaches (at least at this time of year). The South Beach of the island, where the Atlantic meets Calibogue Sound is a wild beach, with equally wild currents. There is no swimming at this location. 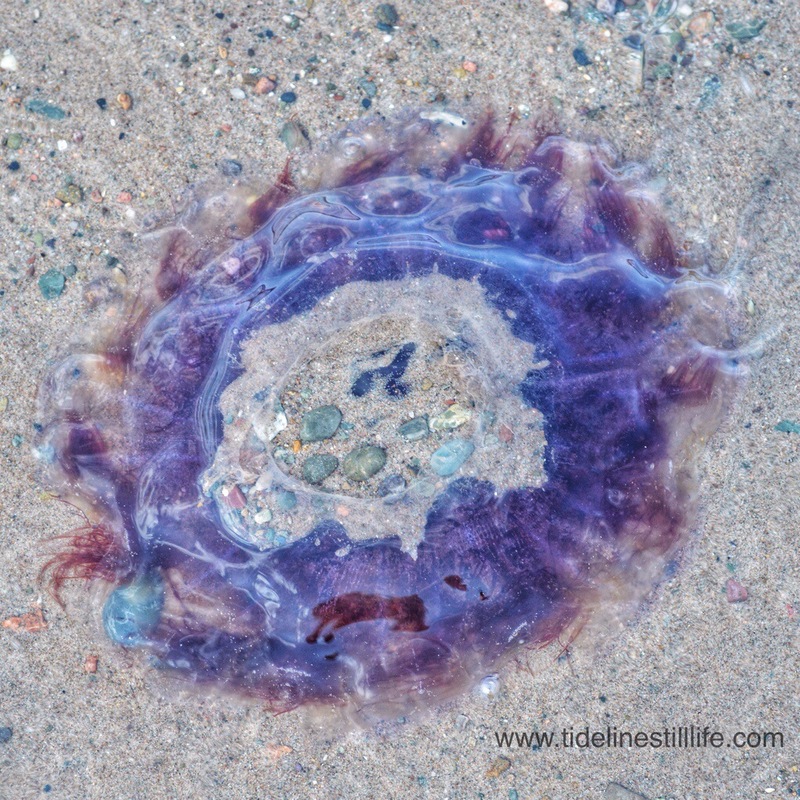 The tide line was positively littered with this species of jellyfish. 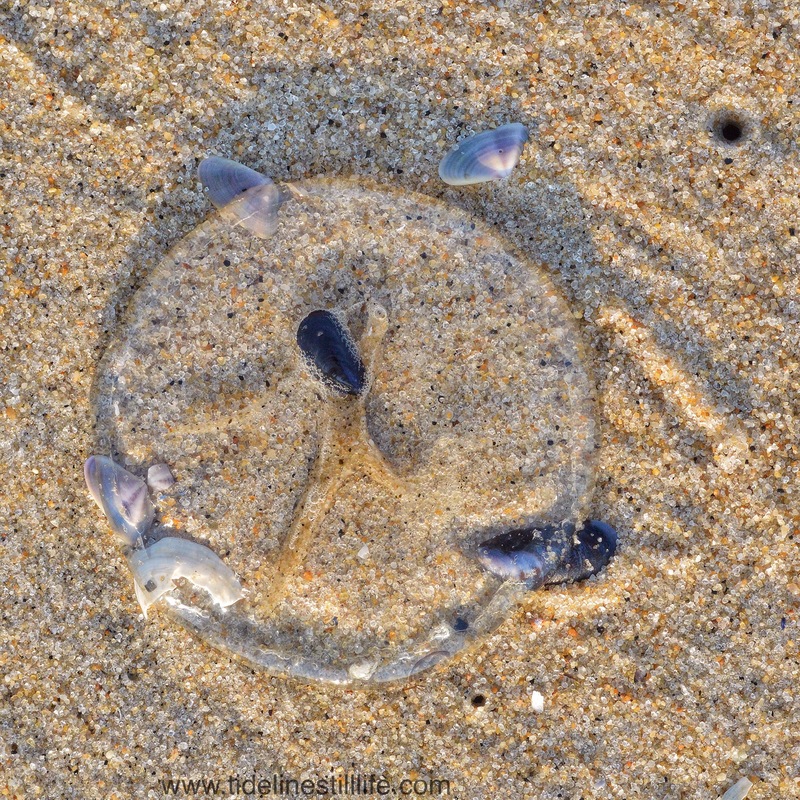 The cannonball jellyfish, stromolophus meleagris, does have nematocysts, but the stings rarely affect humans. 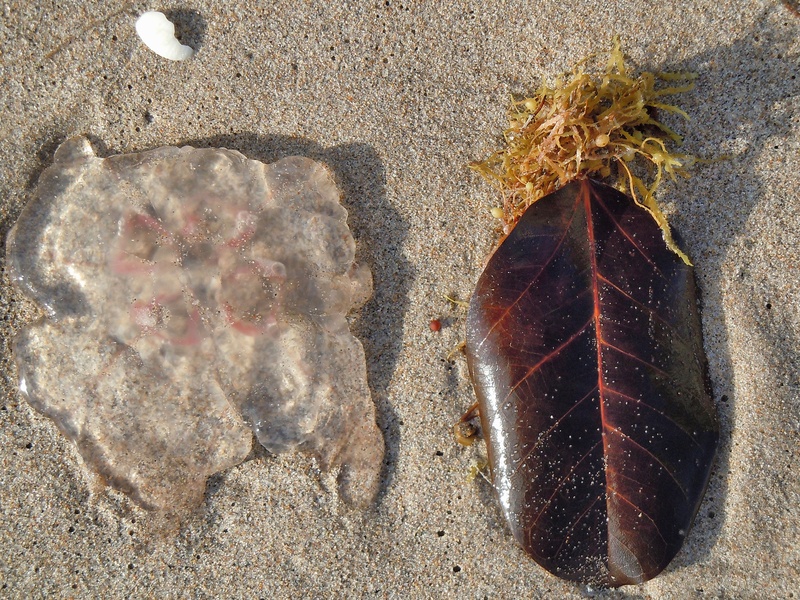 They are strikingly beautiful in both color and form, and they washed ashore both in clusters and singularly. 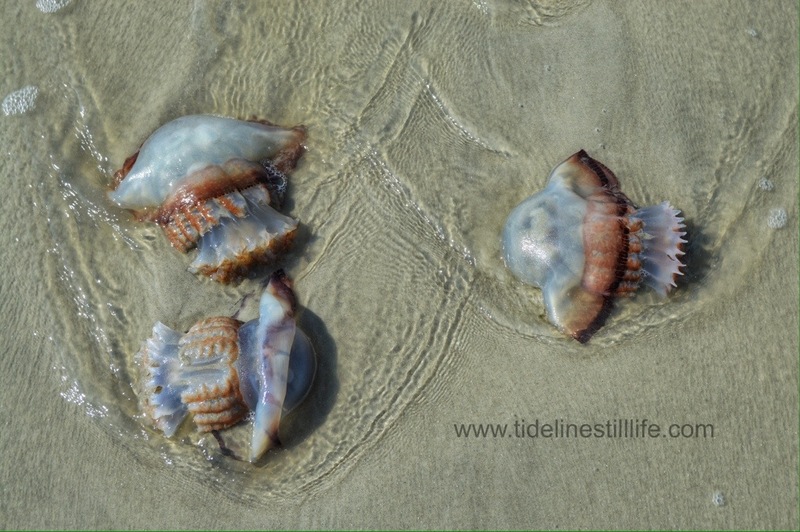 The waves of the tide created the illusion that the jellyfish were dancing in the tide water at the very edge of the low tide line. Delightful! 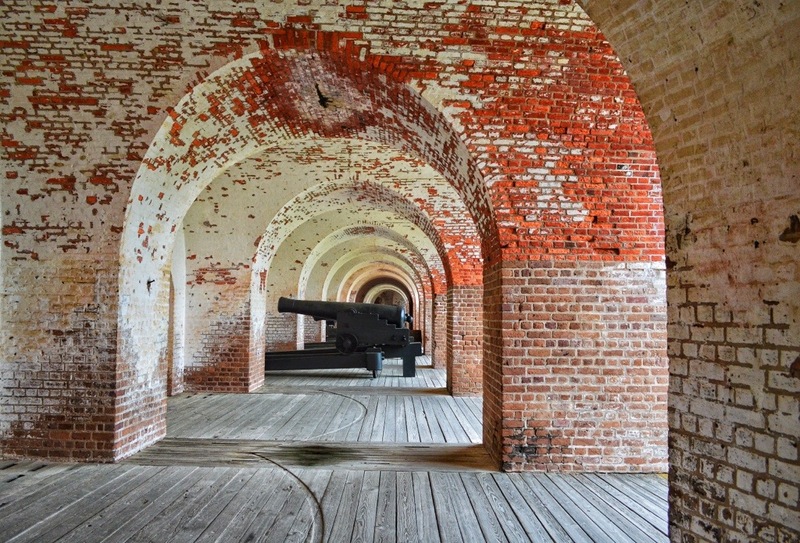 In a diversion from the tide line, I include the following photograph taken at Ft. Pulaski National Monument, GA, just an hour from Hilton Head. It was my fourth visit to the fort, and I continue to be impressed by its architecture. On this visit, I came to the conclusion that it is the geometry of the place that I find so visually captivating. There are arches and angles everywhere. Its history, although rife with contention and tragedy, is nonetheless humbling. It is not necessary to ‘choose’ past sides in order to be impressed by the courage of both those who fought from within, as well as those who brought about its surrender. 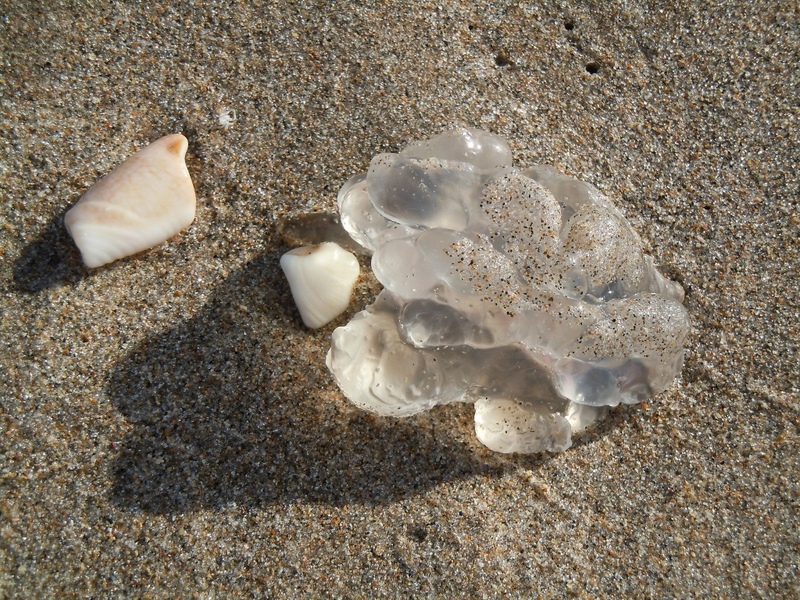 A moon jellyfish, shredded by the fury of the waves, left a piece of itself on the beach to be discovered. By me. It was gone with the next wave. Watch Out for the BLOB! 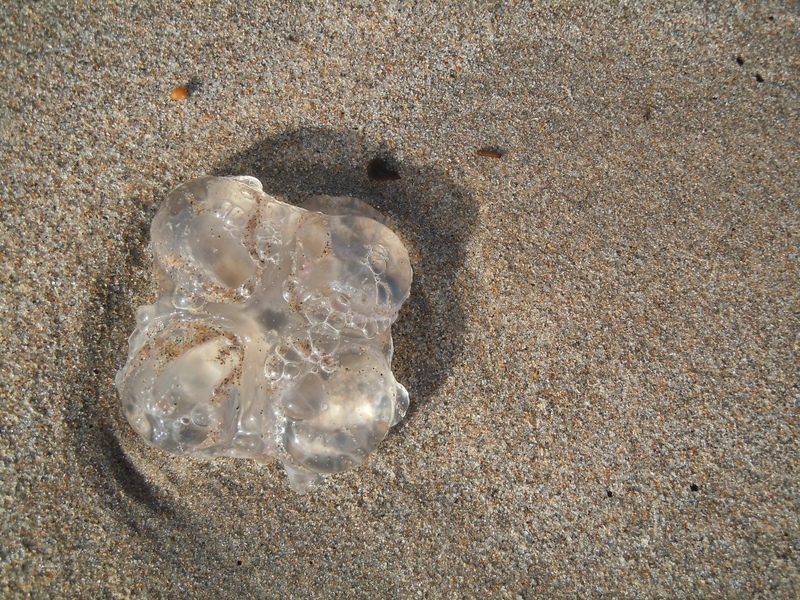 I have no idea what variety of jellyfish this is. It is easy, though, to imagine it as a creature from a 1950’s sci-fi ready to gobble up those poor, hapless shell fragments. It Was Once Living . . .